Sight word activities bring reading to life! Learning sight words is crucial for young readers who need to build a foundation for writing sentences. 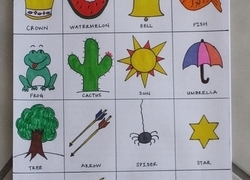 These sight words activities help make learning to read fun, with outdoor games and crafts. Learn the words "the," "can," and "and" with water games, word webs, puzzles, homemade quilts, and word hunts! Bring bean bags, magnets, Jenga, chalk, and relays into sight word activities with your child, and create an environment of learning through play. Have even more fun reading with our Sight words games. Help your first grader build up his sight words by creating a reading pointer and having him take the family on a house-wide reading tour! 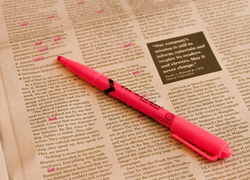 Practise Reading with Newspaper "Highlights"
With a newspaper, highlighter, and some fun extra prizes, you can help your first grader start lifetime reading habits with print all around us. 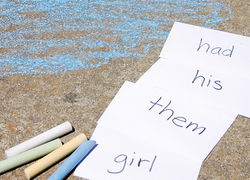 All you need is chalk and pavement to set up this silly, fun, and practical game that reinforces important year two vocabulary. 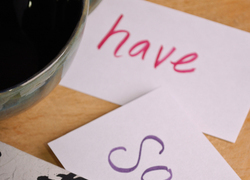 Does your child need help reading common words? Make this family board game. It's so fun, she won't even realise she's learning! 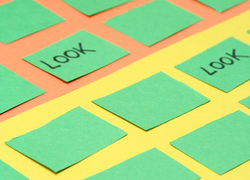 New readers need to develop a "bank" of words they can read by sight. 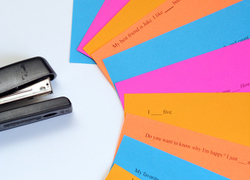 Hate flashcards? Consider this fresh way to practise sight words to perfection...Bingo! 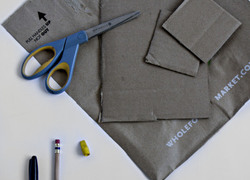 Here's a household scavenger hunt that shows kids the natural sources behind everyday objects...and builds reading skills, too! Hop On Those Spelling Words! Those year three spelling lists may be getting serious, but that's no reason to stop having fun. Here's a high-energy hopscotch game to try. Once your child has mastered the letters of the alphabet it's time to start building words! 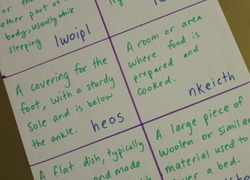 Try out this activity that encourages simple word recognition. 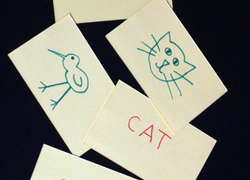 Help your first grader practise sight words with this fun activity. 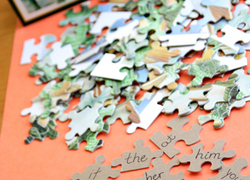 Learn how to put together a puzzle while practising common sight words. Help a child learn to read. By making her own book, your kindergartener can get creative, and practise ten key sight words at the same time. Practise reading with this fun game, where your first grader will "hunt" for hidden words around the house. 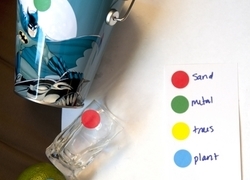 This homemade educational travel game will keep your young child entertained and learning reading, writing, shapes and colors. All you need is a tissue box! Play loteria, a Mexican board game! Help your child make this fun and festive game to help her build her vocabulary and have a blast while she's at it. 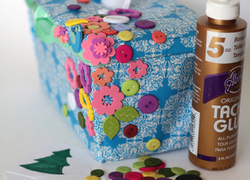 Here's an activity that puts a new twist on a classic game. 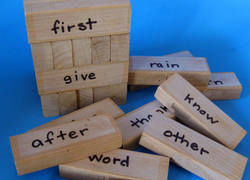 Help your first-grader create his own wooden word blocks and play sight word Jenga. 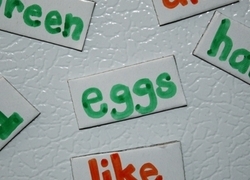 For Read Across America Day, challenge your first grader to come up with her very own story using magnetic words inspired by "Green Eggs and Ham" by Dr. Seuss. 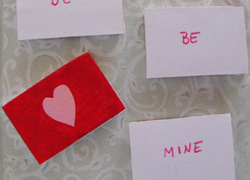 Foster a love of words in your little cupid this Valentine's Day by creating a memory game that doubles as an early reading activity. 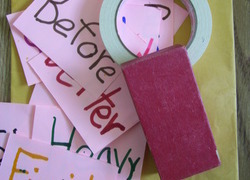 A strong vocabulary helps your little one with all school subjects. 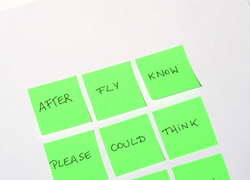 With this scrambled words game, he won't mind brushing up on vocab and learning new words. 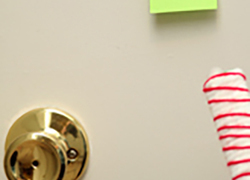 Help your child score points with a personalized message of her own. All it takes is a set of handmade letter tiles to create some word wall art.